Greenville | The Jamestown Comet. Whip handling, knife throwing and trick roping headline seven shows at the fairground coliseum during Annie Oakley Days. 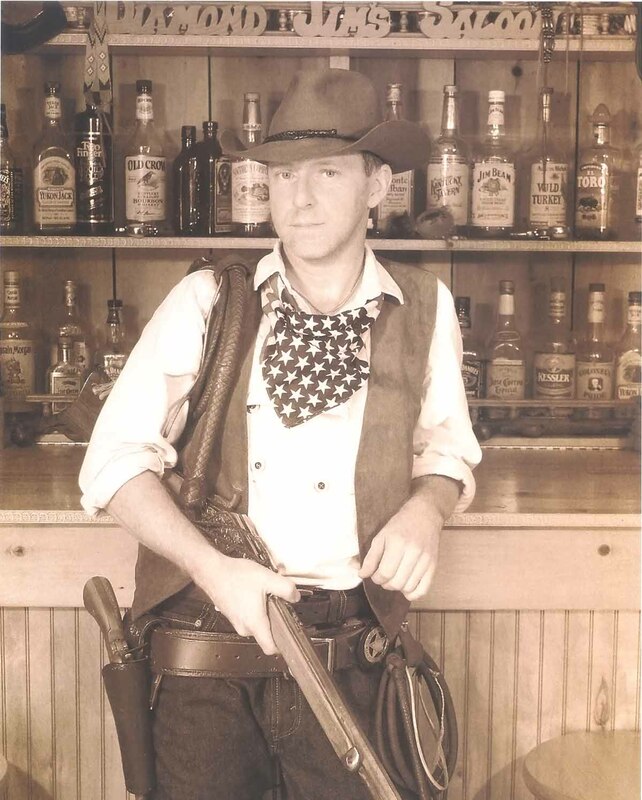 GREENVILLE, OH – Wild West performers headlining the 9th Annual Annie Oakley Western Arts Showcase are gearing up for five live performances during Annie Oakley Days in the upper level of the Darke County Fairground Coliseum. Entertainers will be appearing from shows like America’s Got Talent and The Bonnie Hunt Show. Performances are scheduled for 7 p.m. on Friday July 29, 2 and 7 p.m. on Saturday the 30th and 11 a.m. and 2 p.m. on July 31st. Each show is free with regular admission. Each showcase will also feature champion knife thrower Kirk Bass, of Xenia, who teams up with wife Melodee in the suspenseful “Bass Blades” impalement show. Bass is a certified thrown weapons instructor with the International Knife Throwers Hall of Fame and the assistant director for the Western Arts Showcase events. According to Deer, the best shows to see will be on Saturday. “We pull out all the stops on Saturday, with Wild West arts exhibitions during the afternoon performance and a longer, variety show in the evening.” Saturday night’s extended program will be hosted by The Brothers & Co. Entertainers music and variety group from Jamestown, Ohio. Often compared to The Statler Brothers or Oak Ridge Boys, “The Boys In Black” do a combination of four-part vocals and Vaudeville-style comedy and variety routines. All performances are family friendly. For more information go online to http://www.thewhipstudio.com/annieoakley.html or call (937) 902-4857.